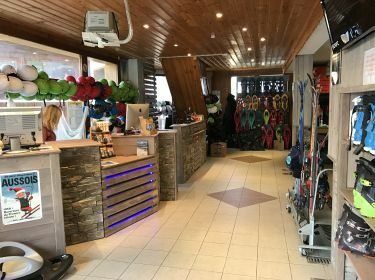 AUSSOIS Ski Rental - LEON SPORTS Ski Hire : book your ski and snowboard equipment online ! You will have the best prices : up to 50% off on your equipment. Rental skiing and snowboarding specialist LEON SPORTS brings you the reassurance of an appropriate and well maintained equipment at the best price / quality ratio. 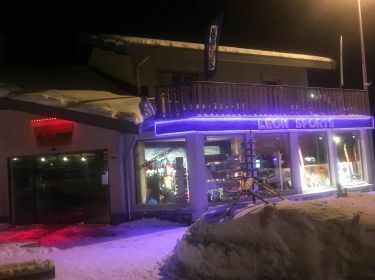 LEON SPORTS - AUSSOIS has the choice, the professional approach and the experience to guide you in your choice of ski equipment. Add to that, our passion for skiing and you can't go wrong. Book online and save up to 50% discount on your ski and snowboard rental! Rental, maintenance and repair of all your ski equipment. You can now ski on Saturday mornings, or ski one extra day: the 7th day is free! If you do not rent your equipment at home or if you own your own equipment you can still rent a ski locker near the slopes! Book online and save up to 50% discount on your ski rental. Don't hesitate to come and rent your equipment on Saturday morning or to get an extra day skiing: the 7th day is FREE! With the Multi-Glides option, change when you want!